Our fenced-in exercise and play yard is available to all of our boarding guests.This secure area provides a safe place for your dogs to run and play when staying with us. Your dog can be off-leash here and we provide a variety of play toys as well. 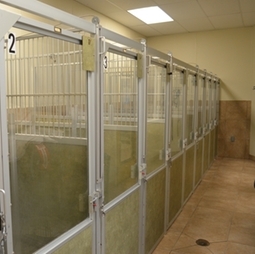 Feline guests enjoy a separate room for stress relief. 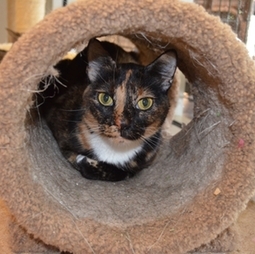 In the facility we have 10 Condos that each have their own "Kitty Cubby". Our Cattery has a nice view into our lobby where guests can observe our clients and a view of the outside. We can offer playtime on our cat tree with permission from owner.